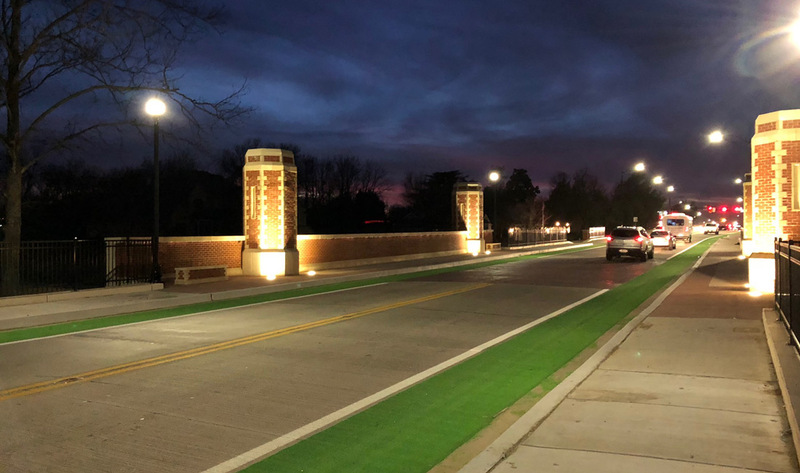 For hundreds of thousands of people, Lindsey Street in Norman, OK is a gateway to the University of Oklahoma and all its academic and athletic events. Years of congestion during peak use (think autumn weekends) led to the need and demand for improvements in traffic flow. 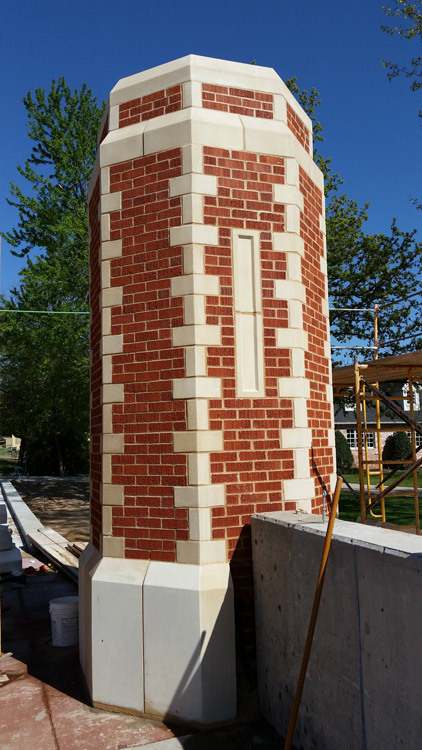 The City or Norman entrusted this complex project to Benham. 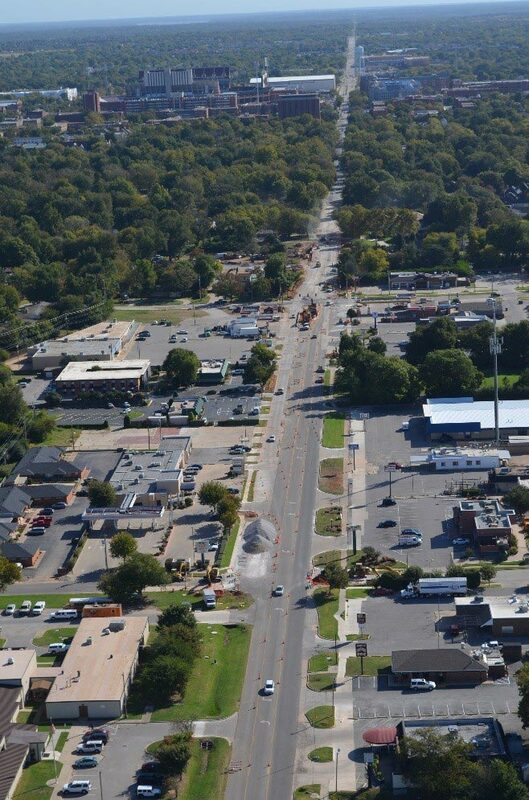 The Lindsey Street project includes widening and reconstruction of Lindsey St. from a three-lane to a five-lane multi-modal corridor from 24th Ave. SW to Berry Road. The project will accommodate vehicles, pedestrians, bicyclists and transit buses with exclusive facilities to serve the same. 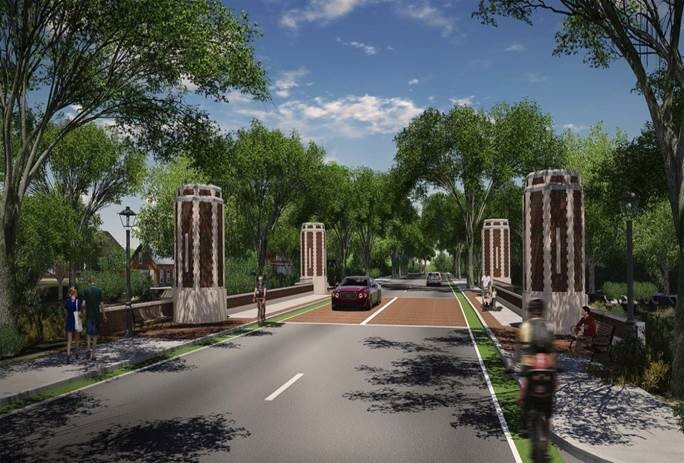 The project also includes a hydraulic study to verify that the proposed replacement bridge over Imhoff Creek would be in compliance with City of Norman requirements for public improvements and the requirements of the National Flood Insurance Program (NFIP). The design of a new bridge and a 3-mile long storm drainage diversion system reduces local street flooding along and north of Lindsey. 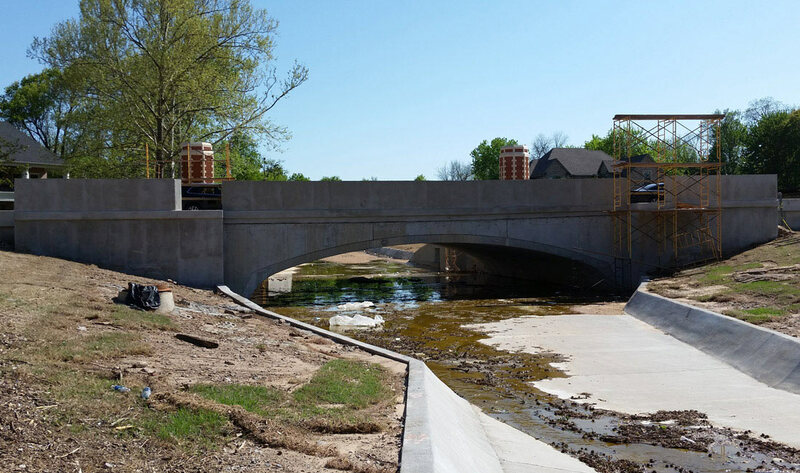 Further analysis was needed to balance the creek flows with the design of the proposed Lindsey Street Bridge in order to maintain 100-year water surface elevations equal to or less than existing conditions. The reach of the Imhoff Creek was analyzed for impacts to the 100-year floodplain. The proposed conditions model was developed by removing the existing reinforced concrete box (RCB) from the model and adding the proposed Conspan arch bridge. The roadway profile and roadway deck width were revised to match the proposed roadway plans.